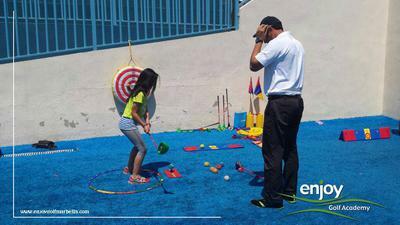 Enjoy Golf Academy offers families the perfect way to get a grip on their golf game. Compare their offer to others and you'll quickly find out why this Academy is rapidly becoming a favorite in Marbella for family residents and holiday makers. 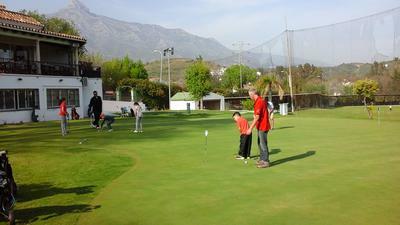 They offer a flexible and affordable way for kids, teens and adults to gain confidence in their golf skills at their two convenient locations in Marbella. What makes Enjoy different from others is their friendly, engaging and effective approach to get comfortable with the game - unlike the pressure that you get at some of the other courses in town. And because Enjoy focuses on families, they offer a variety of flexible and affordable ways for you to pick and choose your particular area of focus. For as low as €40 per month, you gain access to professional training from 10:00 - 21:00 every single day of the week - including Saturdays and Sundays! You'll walk away from the course with measurable improvements in your game and the confidence you can consistently demonstrate your new skills on the course. Discounts are also available for participants choosing to stay longer than one week. 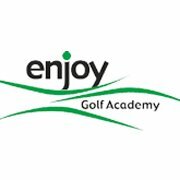 Contact Enjoy Golf Academy at their details below for more information. 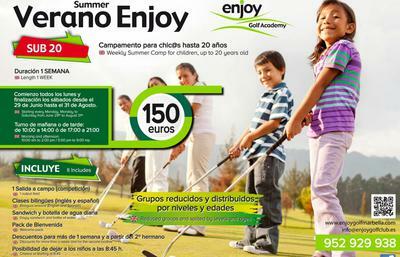 Enjoy Golf Academy was launched by two golf professionals, Carlos Balmaseda and Diego Morito. Their vision was to create a fun, effective and affordable way for families to engage the sport. As professional golfers themselves, Carlos and Diego well understand that what enables one to succeed in golf is regular training under expert supervision. Enjoy Golf aims to provide that opportunity and prices that are accessible to everyone. You'll find the whole team at Enjoy Golf Academy embraces this philosophy, which is why many are saying that this is the fun, competitive and enjoyable way to develop a skill that you'll truly embrace for the rest of your life. For more information, please contact Enjoy at their details below.